Hercules Club Established 1935 on Ormond Quay, moved to its present location on Lurgan Street in 1985 and has gone from strength to strength since then. We cater for all strength athletes from Weightlifting,Powerlifting, Bodybuilding and Wrestling . Whether you want to loose weight, grow or improve your lifestyle, our facilities enable you to do just that. With over three floors we provide free weights, fitness areas and cardio machines. 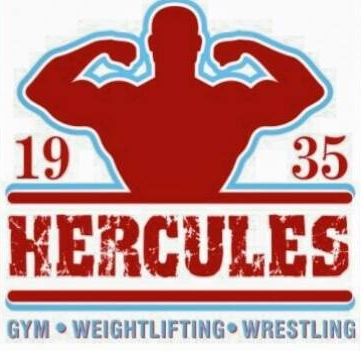 The Hercules Club is a proud home to champions in Weightlifting, Powerlifting, Bodybuilding and Wrestling, and more. We pride ourselves on being represented by athletes across all sports. We place our members at the heart of everything. We are run by our members. Each year a committee is elected to facilitate the day to day operations of the club. Hercules Club operates a cash-less system for signing up or renewing membership. This enables us to create greater security of payments and a clear audit-trail of our cash flows. Use the ‘Pay Now’ button to make your payment. This link will direct you to the Ashbourne Management Sign Up page. Please Note: upon clicking the ‘PAY NOW’ button, you are leaving this website and all transactions henceforth are managed by Ashbourne Management. The join/rejoin fee is currently set at €30. New members joining or previous members who fail to keep up payments are subject to a join and rejoin fee. Please note Hercules Club reserves the right to change the fees at any time. Our premises is located on Lurgan Street in Dublin, ireland.